These classes teach the fundamentals of different dance forms. Students learn etiquette, dress code, movements, and self-correction. Classes are designed to introduce structure and vocabulary in a fun environment and are paced to the needs of the students. Students will practice listening to their teacher and cooperating with other students while learning the fundamentals. Entry-level ballet class emphasizing the fundamentals of classical ballet, including ballet etiquette, terminology, the basics of turn-out, posture, footwork, arm movements and travelling on the ballet stage. Students develop basic dance coordination and body alignment through exercises at the barre and in the center. Second year pre-ballet class for ages 6-7 emphasizing the fundamentals of classical ballet including ballet etiquette, the basics of turn-out, posture, footwork, arm movements, and travelling on the ballet stage. Class structure and discipline are emphasized, with students adhering to a dress code and following proper ballet etiquette in the classroom. Students learn to dance for the first time with one hand on the barre and can demonstrate a variety of ballet movements independently. 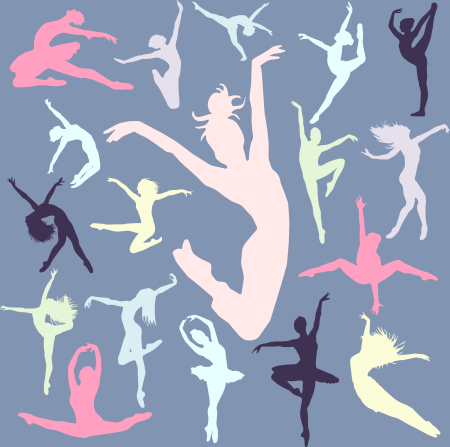 Entry-level ballet class for ages 5-7 emphasizing the fundamentals of classical ballet, including elements of Pre-Ballet 1 and Pre-Ballet 2 (see above). Entry-level Hip-Hop class exploring basic Hip-Hop moves such as popping, locking, waving and basic choreography. This introductory-level Hip Hop class provides a structured method of learning various Hip Hop dance movements in a fun-filled and vibrant class environment, and offers a new set of combinations and routines every time. 1 Stated prerequisites must be completed prior to starting this class.